Ayurveda recognises that we are not the same. We are all unique and therefore need something different. Two people can present with the same problem, however, the treatment may be different for both. Ayurveda focuses on eliminating the root cause of all problems. The following are a sample of our speciality treatments. The whole exercise and purpose of Ayurvedic treatment is to help us remove the excess Doshas andtoxins accumulated over the years due to incompatible and incorrect life-style. The excess Doshas and toxins may/may not have caused any apparent disease thus far but nevertheless Ayurvedic pulse reading and diagnosis helps us to see subtle disturbances. Such disturbances, if left unchecked, may contribute later on to further excess Doshas and toxins accumulating and further disturbance to your Prakriti. The pulse readings give us a ‘road map’ showing us where we have come from, where we are now, and also where we are heading. This allows us to take the necessary steps to remove excess Doshas now and adjust our lifestyle to continue to manage our Prakriti for the rest of our lives. 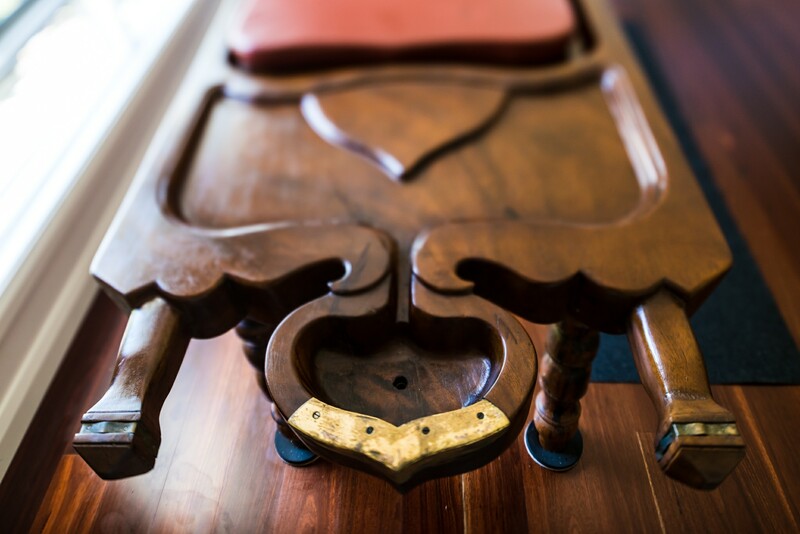 We can achieve the correction, restoration and management of your constitution through short- and long-term treatments. An explanation of these approaches is given below followed by specific recommendations for you. This phase of treatment includes Ayurvedic Herbal formulas; Ayurvedic oil massage; Yoga for Doshas therapy; and Pancha Karma. The period of short-term treatment is not fixed but depends on your needs and much will depend on you; your attitude, discipline and commitment; also the degree of any disturbances and how stubborn the excess Doshas are to remove. Typically this short-term intensive treatment may last for one to several months. 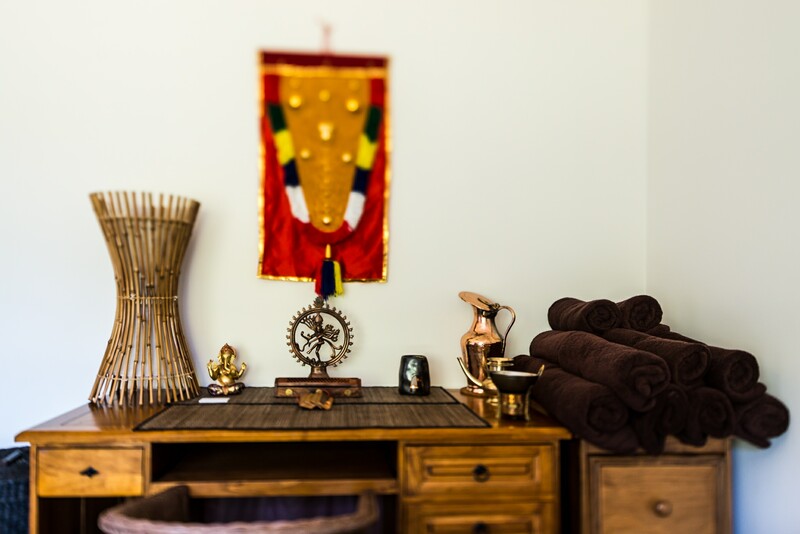 Panchakarma may follow after your follow up consultation once you are suitably stable and prepared. All short-term treatment will be individually prepared to suit your unique constitution and will focus on detoxification. This aspect of treatment mainly deals with lifestyle management – meaning, how to live your life on a moment-to-moment basis without disturbing your natural and unique state (Prakriti). This starts from the time you have your consultation and your acceptance of the recommendations and continues throughout your life. This phase of the treatment includes gaining knowledge on how to manage your Dietetics, exercise, attitude, work, relationships, the ever-changing environment and climate, and developing an appropriate time-management routine. This lifelong approach is what traditional Ayurveda is really all about, the awareness and practical application of this knowledg each day and in every moment to manage your unique Prakriti. Here, we treat each patient with long-term stability in mind. While short-term treatment is very important when Doshas are aggravated and disturbed (for detoxification) and to rebuild and nurture (for rejuvenation), treatment is still a temporary aspect – not the main or only consideration. Traditional Ayurveda works to remove excess Doshas and to support and educate the individual (often times disease symptoms may disappear or reduce once a person’s Doshas become more stable and an individual takes on more responsibility for managing their life). Please click on the menu below to learn more. The Ayurvedic practitioner identifies imbalances by physical assessment of the eyes, tongue, nails, skin, abdominal palpation, and the critical pulse diagnosis. 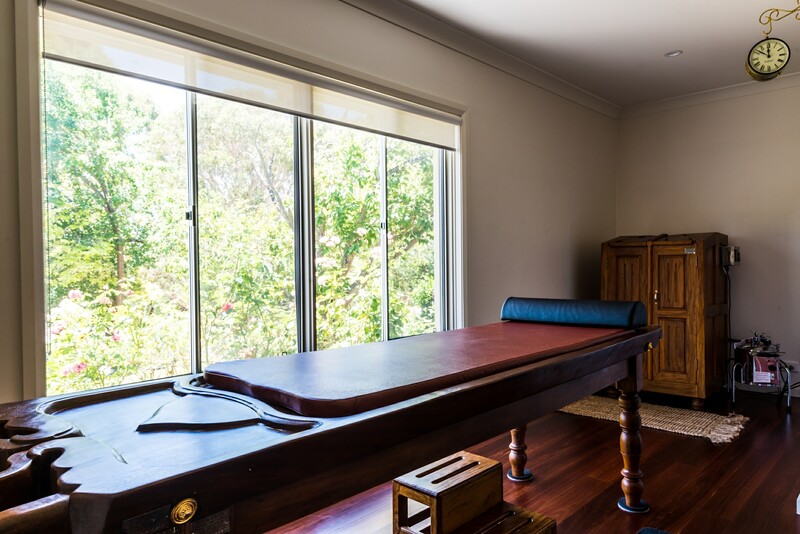 The practitioner then seeks to balance the body by using a combination of lifestyle advice, diet, exercise, massage, and herbal medicines. Detoxification involves using formulated massage herbal oils followed by application of steam therapy. These combined processes of massage and steam treatment softens and liquefies the toxins to direct them to the digestive system and sweat glands for elimination. This full body herbal oil treatment is a primary detoxifying tool used in Ayurvedic treatment and will be an essential part of your short-term treatment program. This is a quicker method of removing some of the more stubborn toxins that have been sitting in your system for a long time, which will require more than herbs to break and coax out of your system. You will undergo a series of four sessions of one and a half to 2 hours per session once a week. A single session costs $180.00 but the package of 4 sessions for you will cost $690.00. The oil used will be specially blended and cooked with herbs to help to further reduce toxins as well as to help with skin conditioning. This full body herbal oil treatment is a primary detoxifying tool used in Ayurvedic treatment. This is a quick method of removing some of the more stubborn toxins that have been sitting in your system for a long time, which will require more than herbs to break and coax out of your system. The oil used will be specially blended and cooked with herbs to help to further reduce toxins as well as to help with skin conditioning. Akshitarpana is a unique Ayurvedic procedure that involves the application of ghee to the eyes. This procedure increases the life of the eye, protecting the eye from the ageing process and also improves eyesight. A unique sauna (with head exposed) using traditional Ayurvedic herbal steam, Bashpa Swedana alleviates heaviness and congestion of toxic build up in your body. Employing purification process in our body reduces stiffness, improves the flexibility of the body parts and increases digestion. A steam bath treatment corrects the imbalances of Vata Dosha. The procedure is more effective in conjunction with oil massaging treatment. In Sanskrit the word Greeva refers to neck and Basti a container. Heated herbal oil is applied to the neck or cervical region. As warm oil is used to apply heat, this is considered as oily sudation. The sudation procedure is beneficial in relieving pain. The healing property of herbal oil, deeply cleans and fortifies the blood, builds strong muscle and connective tissues, and lubricates the joints. In addition to this the herbal oil is absorbed from the skin and has a unique therapeutic effect. Janu Basti is an effective procedure of applying heated herbal oil on the knee joints. This is a localised form of sudation. As warm oil is used to apply heat, this is considered to be oily sudation. Janu Basti is used in painful conditions of knee joints and especially useful to restore lubricant fluid in the joint and maintain integrity of the structures involved in the joint. Focusing on the lower back and spinal nerves, Kati Basti corrects postural imbalances and alleviates tension caused from sitting for prolonged periods. Heated herbal oil is applied on the sacral or lumbar region, low back region. The procedure sudation is beneficial in relieving pain; in addition to this the herbal oil is absorbed from the skin and has an unique therapeutic effect. Nasya therapy involves the administration of herbal oils through the nasal route to stimulate expulsion of blockages. As this is the nearest root, diseases related to the head is best treated by this procedure. Nasya cleanses and clears the head’s channels enabling improved mental, sensory and motor functions. Depending upon the constitution of the individual the herbal oil will change accordingly. Shirodhara is the continuous pouring of decoction, oil or other liquids on the forehead and then allowing it to flow over the scalp. In Sanskrit, the word “udvarthana” means “to live” or “to increase”. Herbal oil or herbal powder is applied on the whole body and massaged in the opposite direction to the body hair orientation. The massage opens circulatory channels, facilitates the metabolic activity and improves complexion. The massage alleviates vitiation of Kapha Dosha, reduces excess fat in the body, corrects the imbalances of Vata Dosha and eliminates body odour.